The TransAm Trucking fleet is as diverse as the country we serve. Our team ranges from experienced drivers to students straight out of school. We run everything from regional to long haul freight. We hail from almost everywhere: New York to Florida and as far west as Colorado. But the one thing we all have in common is our noble purpose. We are a trucking company built on the idea that truck drivers are noble people who help drive America forward. 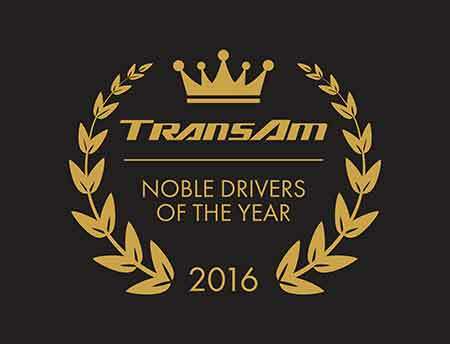 This year, TransAm is proud to recognize 5 drivers whose actions and contributions exemplified the TransAm Noble Purpose for 2016. Gary Wilson is always helping other drivers, new drivers especially. He sees TransAm as one big team, one big fleet working together. One example of this comes from last summer when a newer driver was struggling to learn how to use TransAm’s Garmin communication system. Since both Gary and the new driver were at the terminal at the same time, Gary’s dispatcher asked him if he would give the new driver some pointers. Without hesitation, Gary not only agreed to help but went above and beyond, spending the time to go over the whole program with new driver. As a result, the new driver was able to depart for his next load with confidence. When one person succeeds, so does the fleet. Clark Tarleton first contracted with TransAm Trucking in 2013. He arrived with a strong business savvy and was committed to fine tuning his business with a focus on effectively managing his time, freight, and making choices to increase his profitability. Clark later decided to pay it forward by becoming a coach for TransAm. It’s his own personal mission to help other drivers navigate the trucking industry and become great business owners like himself. He often gives his name and number out to drivers at truck stops and in the terminal; he is passionate about being a mentor for anyone who needs help. Jason joined TransAm trucking in May 2016 and he is already a coach. He helps other drivers figure out how to properly complete their logs and use the Garmin system. In addition, his performance and attitude are always positive. Trucking is his passion and it shows. Robert is a great model of a safe driver. His record for 2016 is squeaky clean, with no accidents or late loads. But Robert takes safety a step farther. Robert goes out of his way to make his mentees feel welcome and comfortable while on his truck. Robert lets his mentees know that there is no reason to get in a rush, because it’s always most important to take your time and be safe. Robert’s mentees always speak highly of him and are instilled with confidence, prepared to continue their trucking journeys with TransAm, when the mentoring sessions are complete. David Johnson is a regional driver down in Texas. He is a shining example of what it means to be a noble driver. He continually volunteers to work extra weekends and remains upbeat and very positive through everything. His driver manager can call on David at any time and he is willing and ready to help. He is a huge team player. All of these drivers share the desire to help other people succeed. They are outstanding examples of what it means to be noble truck drivers. Each one excels in their fields and each one believe success isn’t truly achieved until it’s achieved by everyone. We are extremely grateful they choose to drive with TransAm Trucking. Thank you!